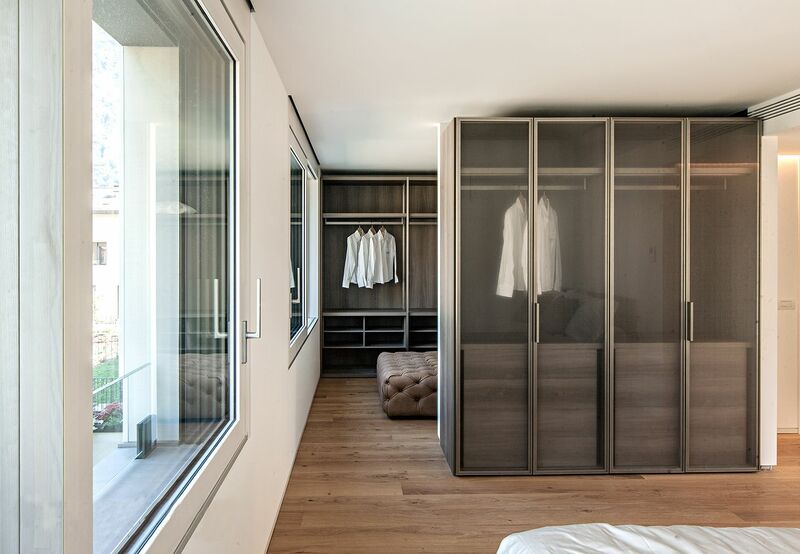 Immersed in the greenery of the private poolside garden, our multi-level villas are accessed by a private lift to all floors and feature the following: BASEMENT LEVEL: Two underground parking spaces, cellar or hobby room and a laundry room. 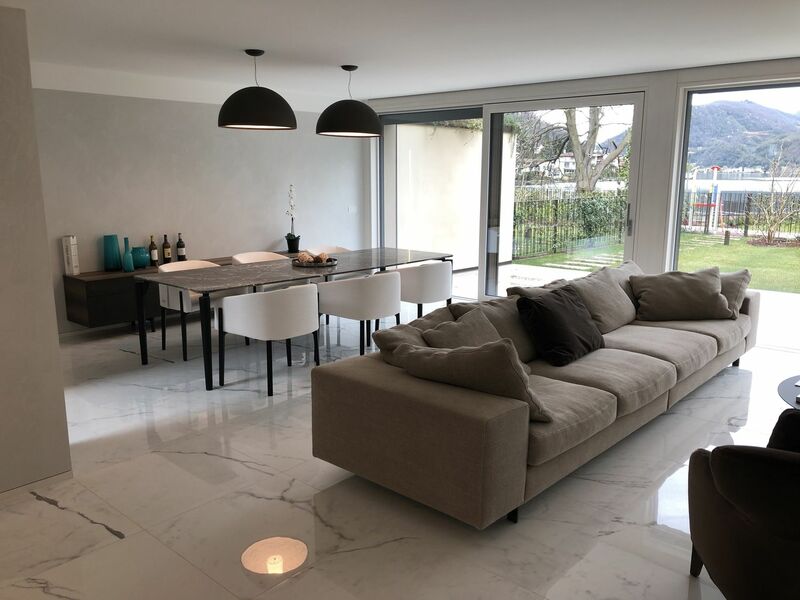 GROUND FLOOR: A large living room with space for a fireplace, a dining area for 10-12 people with a window overlooking the garden, a kitchen-diner and bathroom. 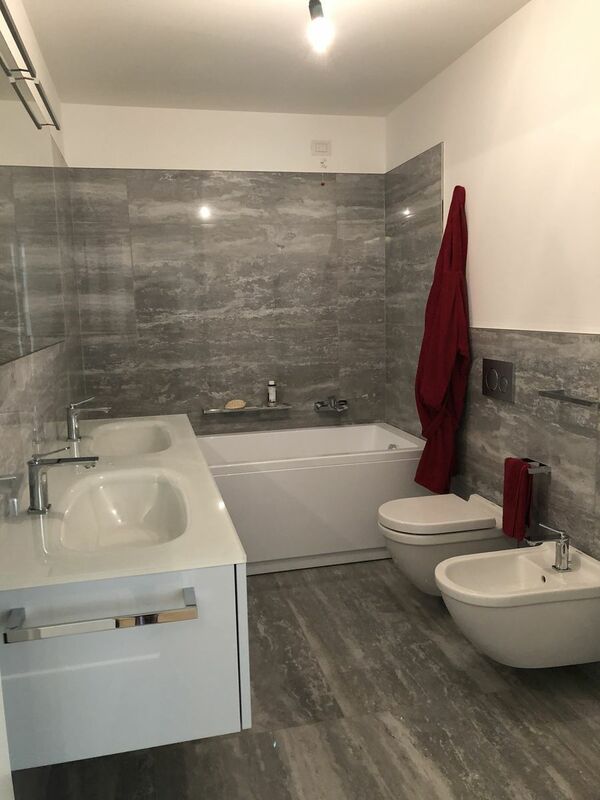 FIRST FLOOR: Two master bedrooms and a double bedroom, each with a walk-in wardrobe and a private bathroom with tub. 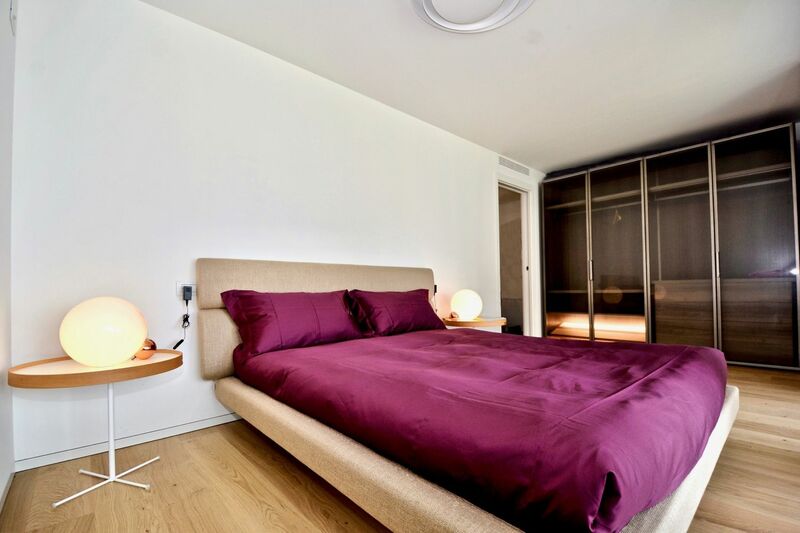 SECOND FLOOR: A mini apartment with a double bedroom overlooking a large terrace, bathroom with shower and a kitchen with a window overlooking the covered balcony. 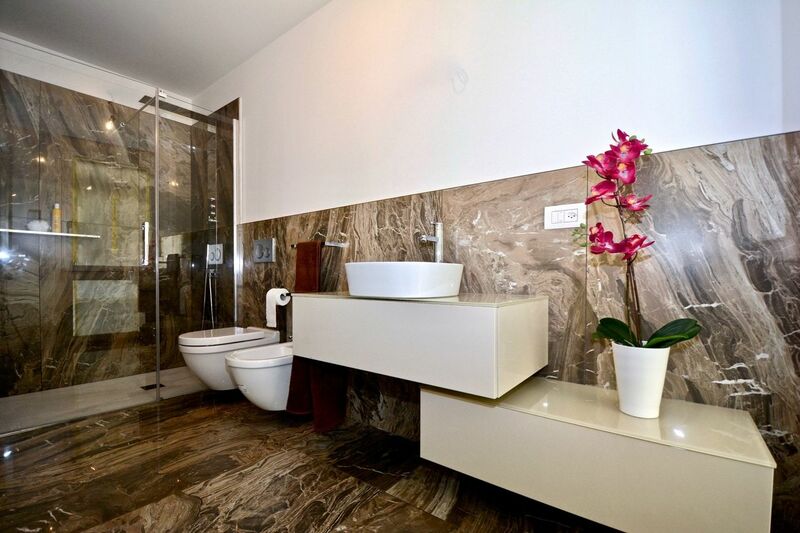 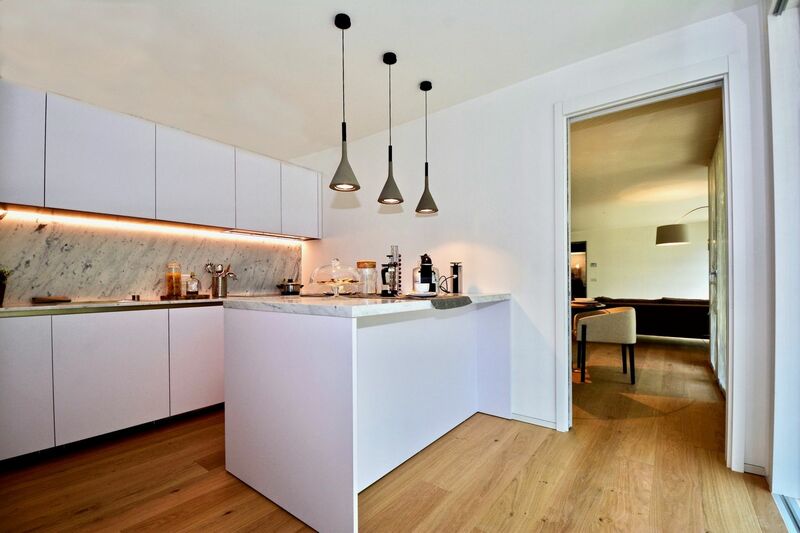 It is also possible to transform the kitchen into a fifth bedroom or a gym. 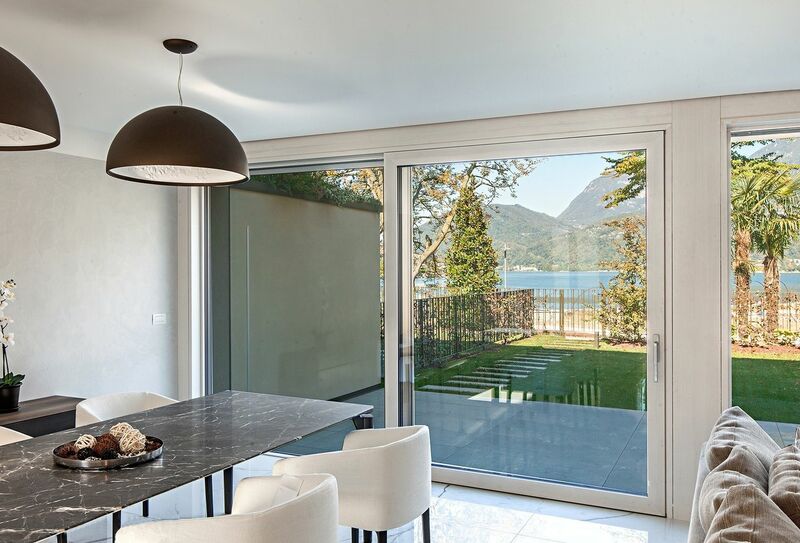 Featuring a private garden with a relaxation area and a pool, the villas meet the Minergie standards and can be finished with highly personalised details. 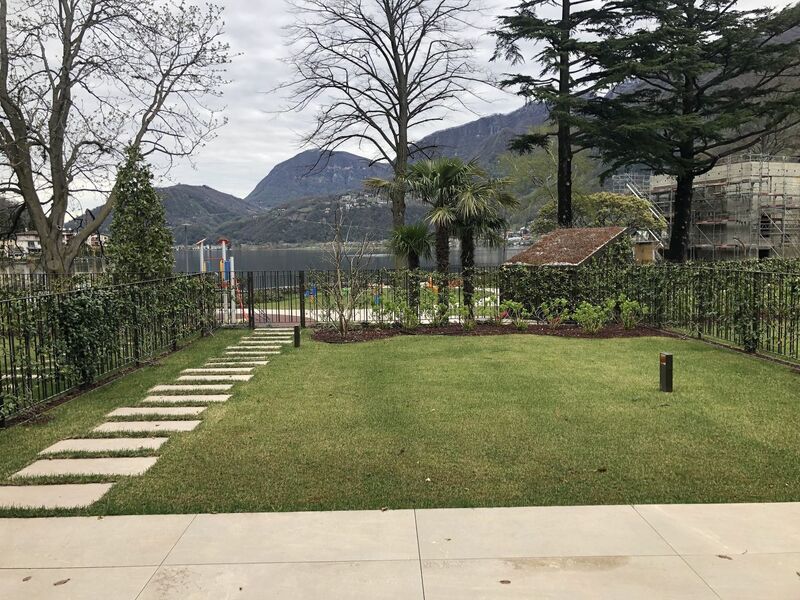 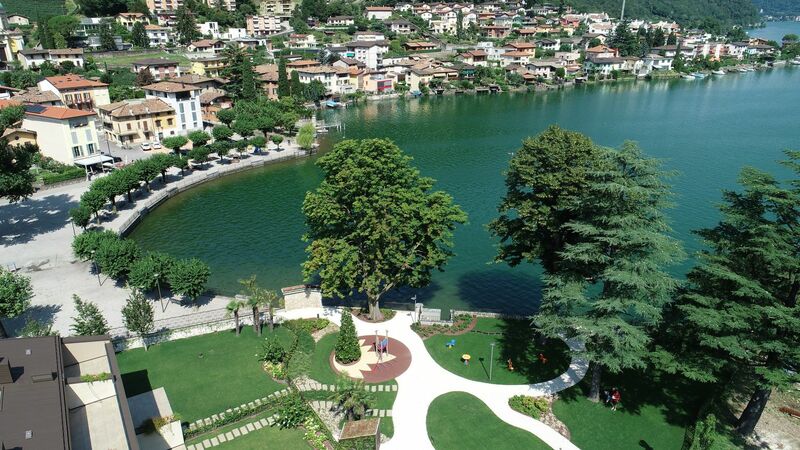 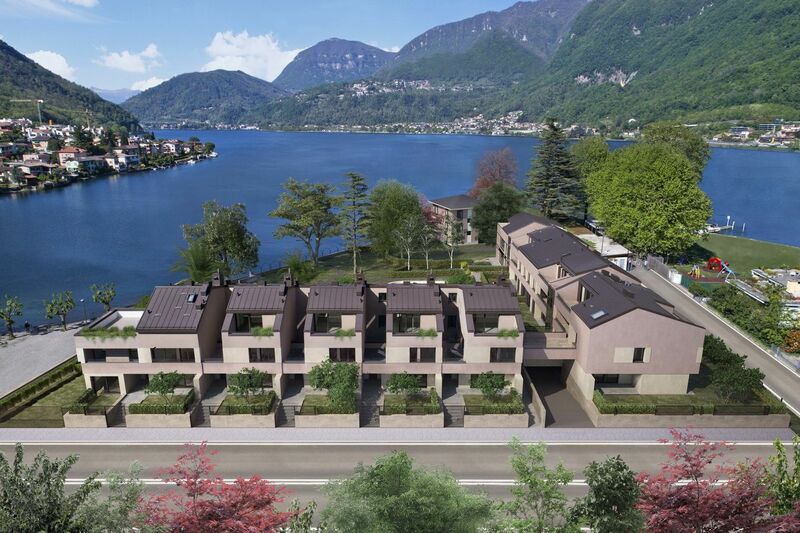 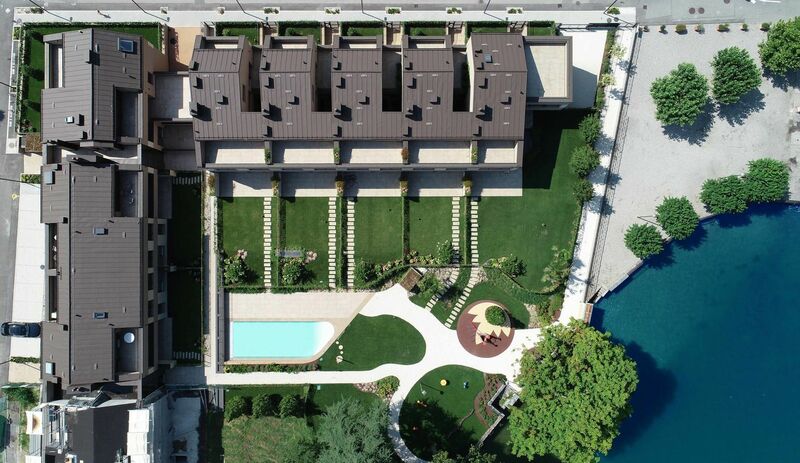 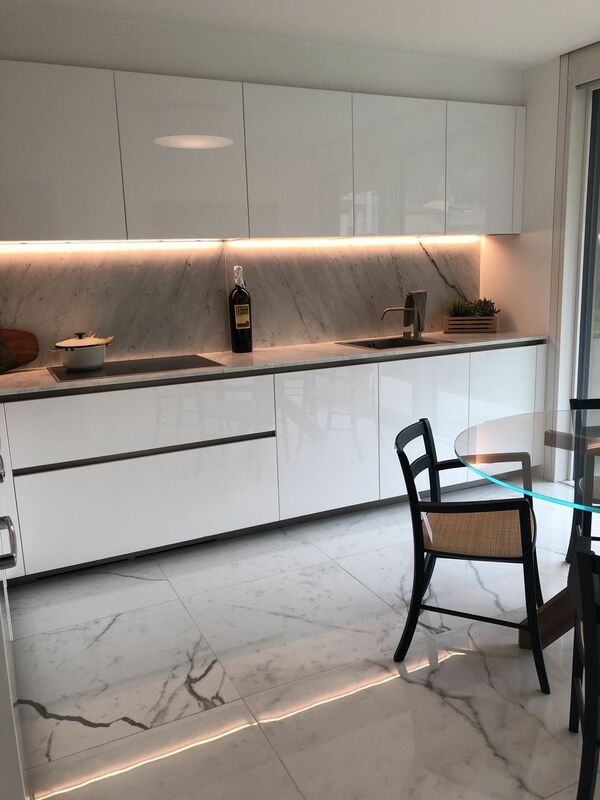 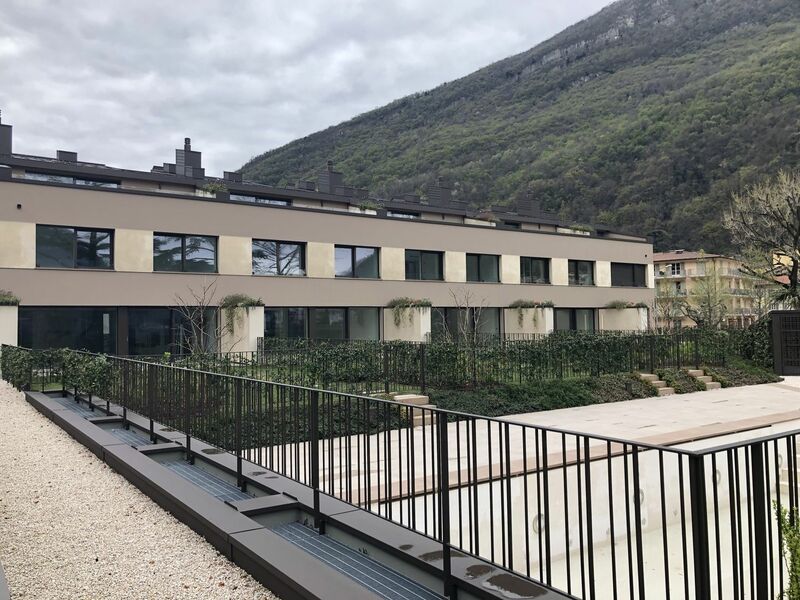 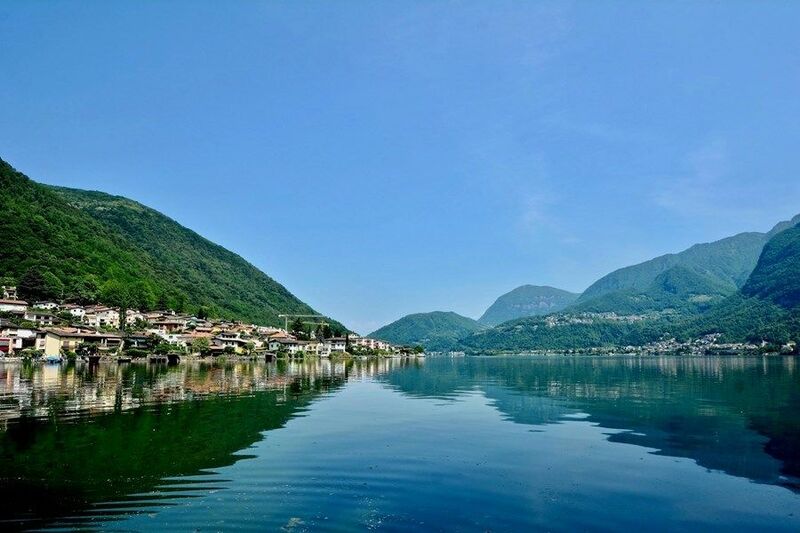 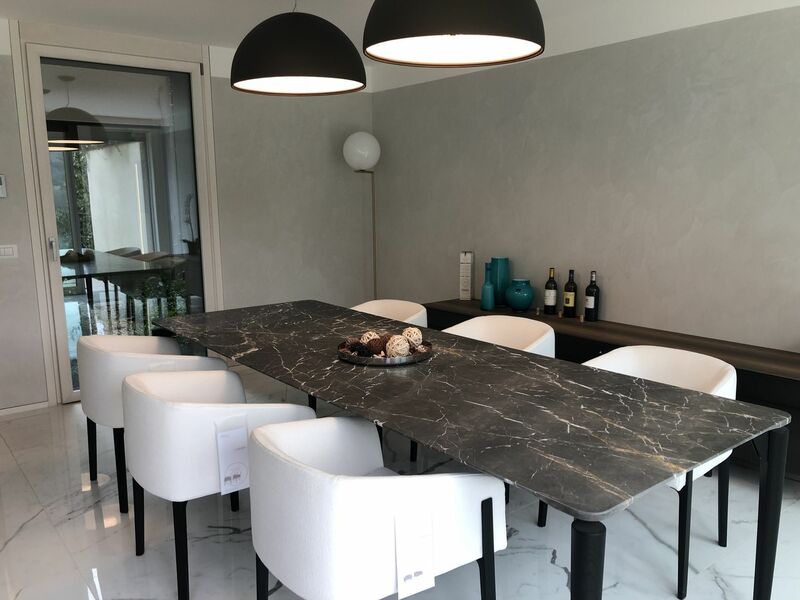 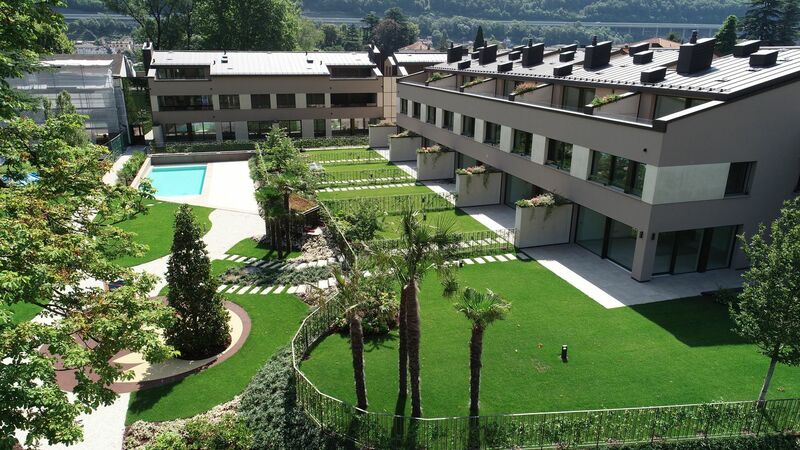 The entire complex is located in an extremely tranquil urban setting and as the lakeside location is so central to the heart of Riva S.V, Frontelago is the place where well-being and quality of life are synonymous with “home”.